WiMAX (Worldwide Interoperability for Microwave Access) Now in Metropolis! WiMAX (Worldwide Interoperability for Microwave Access) is a wireless communications standard designed to provide 30 to 40 megabit-per-second data rates, with the 2011 update providing up to 1 Gbit/s for fixed stations. 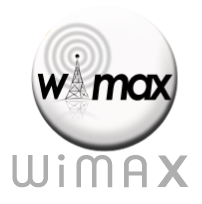 The name "WiMAX" was created by the WiMAX Forum, which was formed in June 2001 to promote conformity and interoperability of the standard. The forum describes WiMAX as "a standards-based technology enabling the delivery of last mile wireless broadband access as an alternative to cable and DSL" and its available today in Metropolis call now! In just a few short years, WiMax has become a disruptive force in the wireless industry. As the first 4G wireless technology, WiMax has the potential to do for broadband what the cell phone did for voice and provide high-speed internet access for millions of users globally and now in Metropolis, IL call today to order the new service.